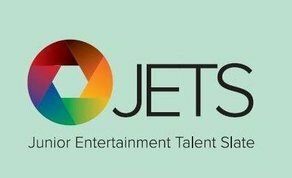 JETS (Junior Entertainment Talent Slate) is accepting applications from Producer/Director teams with an advanced draft script and production plan to participate in its upcoming co-production forum, with a deadline of Thursday, December 14th. The Co-Production Forum will be hosted at the International Berlin Film Festival 2018 and aims to help teams find co-production partners. It brings together filmmakers from Germany, Ireland, Britain, Finland and Canada. A maximum of twenty-four projects will be selected to participate, with applicants expected to be in the first six years of their career in film or television. An exception can be made for producers however, who may have up to ten years of experience. Entries are welcome for fictional projects only, which are in the development or funding stage, and which will run at eighty minutes or longer. The total co-production budget may range from €300,000-€2,200,000. The JETS Co-Production Initiative organised by WEP Productions & WEP UK Productions is funded and supported by the Irish Film Board, Telefilm Canada, Finnish Film Foundation, FilmFernsehFonds Bayern, HessenFilm und Medien, and nordmedia. For further information you can contact: infouk@wepfilms.com and ask for the Call For Entry, which will include the complete conditions for the application.